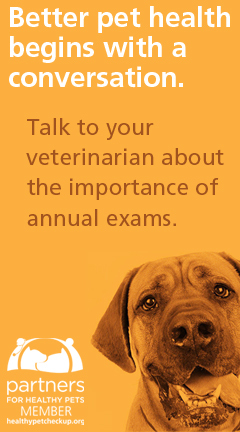 TexVetPets.org brings you the expertise of Texas veterinarians when you’re not in the exam room at the clinic. Your veterinarian is the best partner you have when it comes to making sure your pet’s life is happy and healthy. TexVetPets.org takes this partnership online, providing you with a pet health resource that is the most accurate and reliable available on the web. 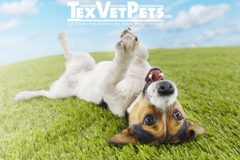 You can be sure that the information you find here on TexVetPets.org is scientifically accurate—each article is peer-reviewed by two veterinarians. The vast majority of articles are written by veterinarians who are members of the Texas Veterinary Medical Association, one of the largest state veterinary associations in the US. 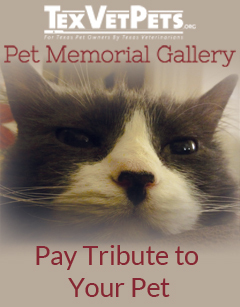 While TexVetPets.org aims to provide you with comprehensive pet health information, regular veterinary care is a crucial element of responsible pet ownership. We’ve made it easy to find a veterinarian in your area with our Find A Veterinarian feature. Visit your veterinarian for vaccinations, behavior consultations and regular examinations so that your pet can live a long, healthy life.